The ibis budget Poitiers Nord is located 0.9 mi (1.5 km) from the Futuroscope theme park: 15 minutes on foot or 5 minutes by car. With a restaurant nearby and located 15 minutes by car from Poitiers and 5 minutes from the Futuroscope train station, the ho tel offers 80 rooms, a terrace and a free private car park (limited spaces). 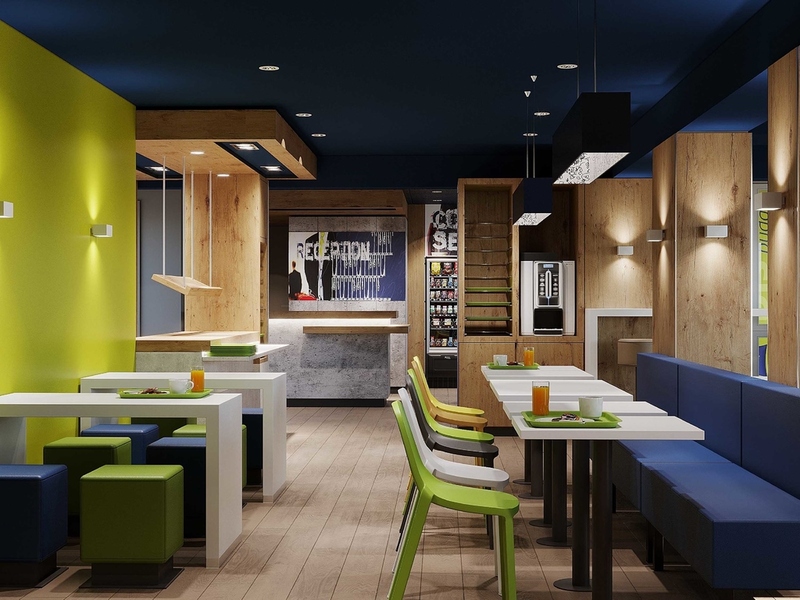 The ibis budget Poitiers Nord hotel welcomes you during the reception opening hours. Shower and separate toilet in the room, new Sweet Bed, LCD TV and free WIFI. Découvrez la nouvelle offre de restauration de votre Ibis Budget. Les bocaux Vrai&Bon.